What if you could enjoy many of the key benefits of the Keto Diet... like the appetite control, metabolic support, boost in daily energy, and greater mental clarity without having to completely sacrifice your favorite carbs (like bread, pasta, and fruit) and without having to suffer through all the other negative side effects of such a strict and rigid diet? Keto is taking the diet industry by storm because of how wildly effective it is at supporting the metabolism and physical and mental energy levels... there's no denying that fact. However, you probably already know that in order for Keto to work, you have to eat close to ZERO carbs every day... and for most, that's a deal breaker. Regardless, the evidence-based Keto Diet certainly does work—and works big time—in large part by elevating levels of something called KETONES in your body. You see, under normal conditions, your brain and body’s fuel of choice is simple carbohydrates, which are delivered through your circulatory system to every cell in your body. However, when you stop eating carbs, your body is forced to break down fat for fuel… But because the brain can’t actually burn fat, your body has to come up with an alternate energy source, so it creates Ketones, a byproduct of fat burning. When Ketone levels get high enough, it’s essentially like “flipping a metabolic switch” in your body so you immediately begin burning FAT as your primary fuel source instead of carbs. This accelerates fat loss, and the increase in ketones helps eliminate cravings, increase energy, and boost mental focus. I realize this can be a little confusing, but the bottom line is that having a higher level of ketones in your body is key to benefiting from the Keto Diet. High Ketones = Accelerated Keto Diet results. What if you do eat any of these? Your body gets immediately kicked out of “ketosis” (that state of elevated ketone levels and heightened fat burning), which is the hallmark of the Keto Diet, it and goes right back to storing fat. No ketosis also means no Keto results. And that's not the only problem. You need to eat an extraordinarily high amount of fat on Keto. And if you eat too much protein or any significant amount of carbohydrates? Again, you get “kicked out” out of ketosis, and your body stops burning ketones as fuel. 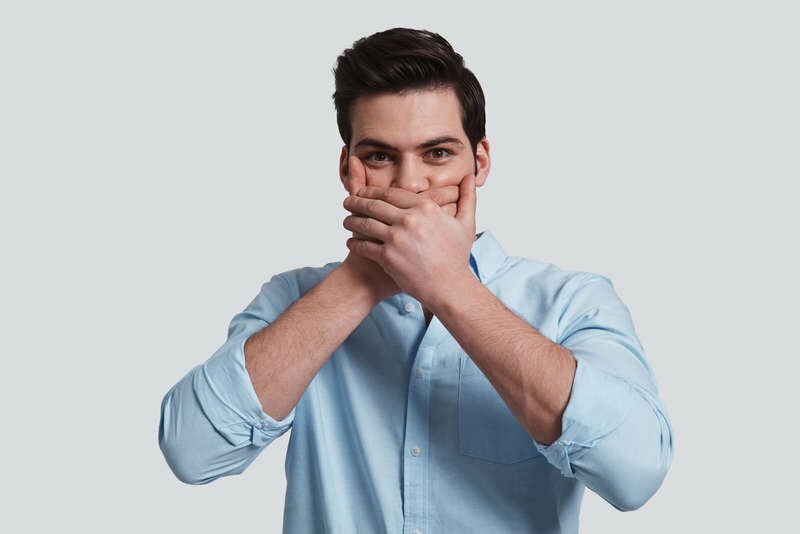 Of course, there’s also “Keto Bad Breath”…people often “know” when you’re Keto, and that’s not necessarily a good thing when it’s because they can smell you coming. It's no surprise such a small number of people even experience worthwhile results with Keto, and an even smaller number maintain those results. The Keto Diet is one of the HARDEST diets EVER. YES, you can enjoy many of the amazing benefits of elevated ketone levels (the secret sauce behind many of the major benefits of following a Keto Diet and why it works so well) WITHOUT having to follow the strict, complicated rules that go along with such a rigid diet protocol. 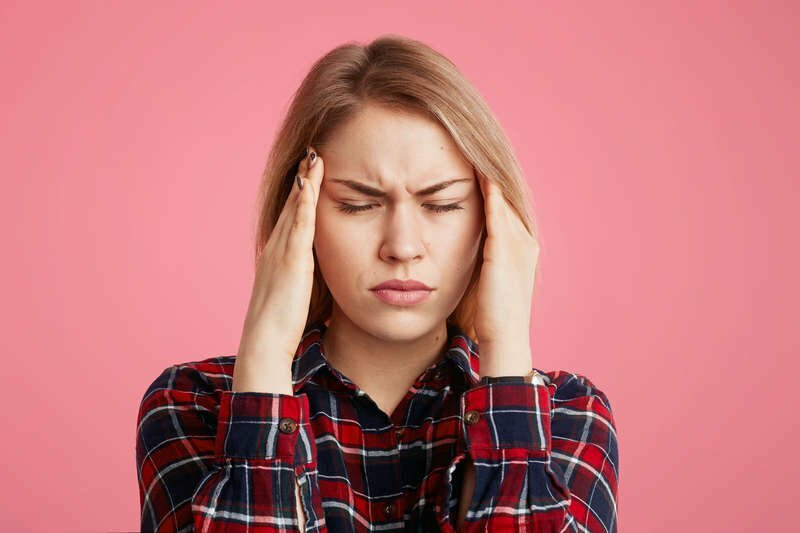 YES, this means you can forget about the dreaded Keto flu side-effects. YES, this means you can still eat carbs, including many of your favorite foods, fruits, and even a glass of wine, a beer, or a cocktail, and still reap the benefits of elevated ketone levels. ... WITHOUT all the negative side effects and WITHOUT the struggle and frustration. 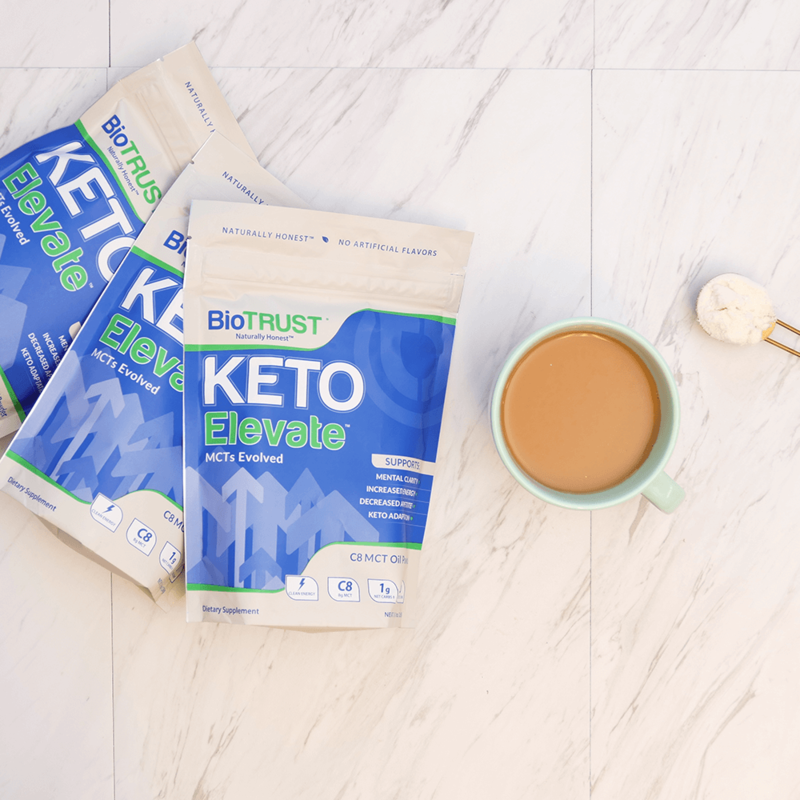 By naturally elevating your levels of ketones, which are responsible for producing the lion’s share of the Keto benefits you want, with the biggest breakthrough in BioTrust's history... Our brand new, easy-to-use product called KETO ELEVATE™. Keto Elevate = So Many Keto Benefits...Without the Keto Diet! If you thought, "This sounds almost too good to be true," we don’t blame you. There are thousands of unsupported claims flying around the Internet when it comes to transforming your body and health. 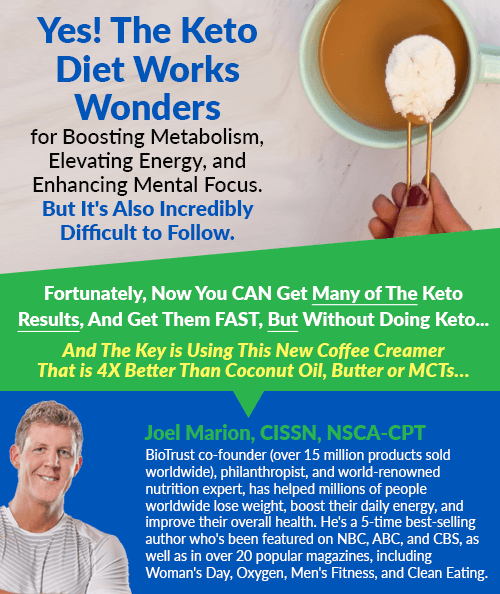 1) A very specific form of fat called "MCTs" can help produce those fast and sustained Keto benefits you want, like increased energy, major appetite control, and significant boost in both mental and physical energy. MCTs stand for "medium-chain triglycerides." MCTs are found in small amounts coconut oil, palm kernel oil, butter, milk, yogurt, and cheese. But, consuming coconut oil (or any of the other foods listed) will NOT provide you the fast and powerful benefits you seek because they do not provide the most effective form of MCTs. There are also other, less powerful MCTs, namely C10 and C12; however, C10 and C12 (which some would argue is not even an MCT) will NOT provide you the fast and powerful benefits you desire. MCTs stand for "medium-chain triglycerides." MCTs are found in coconut oil, palm kernel oil, butter, milk, yogurt, and cheese. But, consuming coconut oil (or any of the other foods listed) will NOT provide you the fast and powerful benefits you seek because they do not provide the most effective form of MCTs. 2) The "magic" of MCTs—and all the most powerful benefits—lies in a very specific form known as Caprylic Acid, also known as "C8." If you want to reap the amazing benefits of elevated ketones (without actually having to cut out carbs to “do” it), you need an MCT supplement that ONLY contains C8. Not C10. Not C12. Not a mix of C8 and C10. Make sure you avoid the hyped-up marketing on labels and never, ever use anything besides 100% C8. and comes with a 100% results guarantee. Check out today's limited time offer. Because to be blunt about it, if you do choose anything besides a 100% C8 MCT, you are pretty much flushing your money down the toilet. So, this is the golden key: If you want many of the benefits of elevated ketone levels without having to actually do the difficult parts of the Keto Diet, you need an MCT supplement that clearly announces it contains the C8 (Caprylic Acid) form of MCTs and only the C8 form. You see, many MCT products work against your health because they contain things like hormones, artificial colors, flavors, and sweeteners, soy, gluten, lactose, GMOs, sugar, or maltodextrin. ALL of these ingredients can wreak havoc on your health and some can even increase fat storage! All the wild claims that so many supplement companies make for their products have jaded a lot of people. I get it. It's beyond frustrating. Medium-chain triglycerides (MCTs) are a super nutritious type of dietary fat. 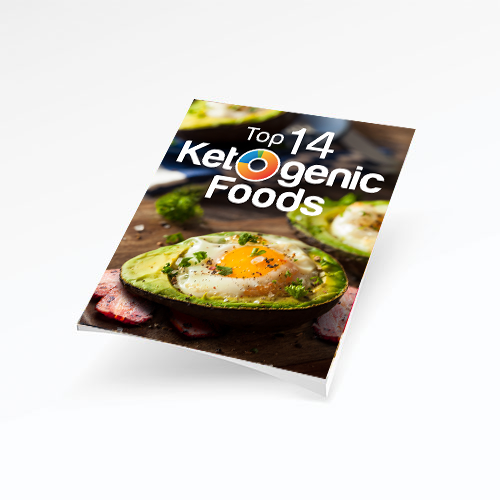 They have a high "ketogenicity," which means your body can quickly convert them to ketones, elevating your ketone levels and switching your metabolism into fat-burning mode. The "8" in Caprylic Acid (C8) stands for its number of carbon atoms, and when it comes to the body’s needs, this size is “just right” (like the story of Goldilocks). That's because your body can quickly, easily, and efficiently process C8 into ketones, which are a natural, usable energy for your body and brain and the real key behind the effectiveness of the Keto Diet. This means a world of difference in terms of the fastest results for you. For example, C8 has been shown to be up to 3X more ketogenic than C10 and 4X more ketogenic than coconut oil. So, while many are quick to (inaccurately) tout the benefits of coconut oil (even though it may be good for other uses), it does NOT contain enough C8 to be truly effective at maximally elevating your ketone levels (which again is the entire point of the Keto Diet). We went on a quest to find the existing 100% C8 MCT oils with zero added junk already available out there. And we came up empty handed. So, we created our own with the integrity and honesty our millions of customers have come to expect from BioTrust. This is the first and only 100% C8 MCT Oil of its kind, specifically designed to help elevate ketone levels as fast as possible... without the Keto Diet! Keto Elevate comes in a convenient powder form, instead of those messy MCT oils —and has just 1 net gram of carbs per serving. Unlike other MCTs, it has no sugar and no artificial sweeteners, and it is odorless. It also has a slightly sweet flavor that enhances the taste of whatever it’s added to (versus dulling or overpowering it, like coconut oil and most MCT supplements do). In fact, Keto Elevate is perfect as a coffee creamer because it adds a smooth, creamy texture with a boost that elevates the overall taste. And it’s much more effective than adding calorie-dense MCTs, butter, or coconut oil. 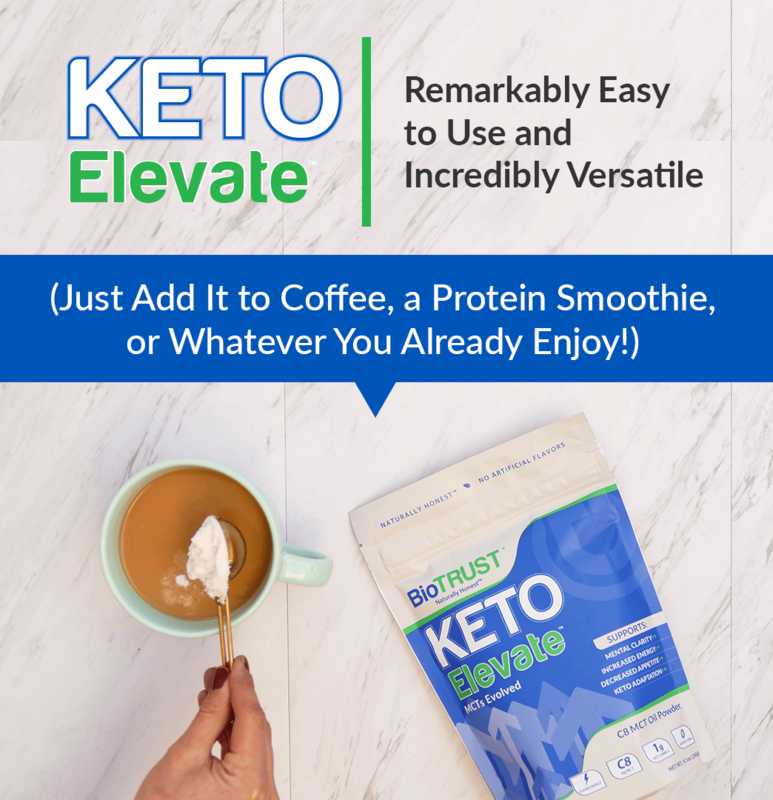 Now it’s easier than ever to get the seriously powerful health benefits of elevated ketone levels just by mixing Keto Elevate into your "Morning Joe!" You can also easily add a scoop to a wide range of recipes and beverages, like tea, protein shakes, smoothies, fat bombs, yogurt, and seasonings—all the while enhancing the overall flavor. Just imagine... now you can reap many of the benefits of the Keto Diet while still enjoying your favorite carbs… just by adding Keto Elevate to what you’re already doing! And if you’re already following a Keto Diet and want to accelerate your results even further, Keto Elevate is the perfect addition to help you do just that. Here’s What the Very First Users Are Saying About Keto Elevate! "What I love about Keto Elevate is that it actually makes my coffee taste better. I just notice an enhanced coffee flavor. I tried MCT oils and coconut oil before, but the taste was overpowering. Great job!" "It’s so cool that Keto Elevate comes in a powder! I hate messing with oils. It’s so easy to take with me on the go. Great taste, too"
landslide. Kudos for creating a product that doesn’t cut corners and uses the best ingredients." "Thank you for Keto Elevate. I love the taste, and it makes me feel healthy knowing it doesn’t contain all the artificial ingredients and chemicals." Don't waste time and money with less powerful MCTs. 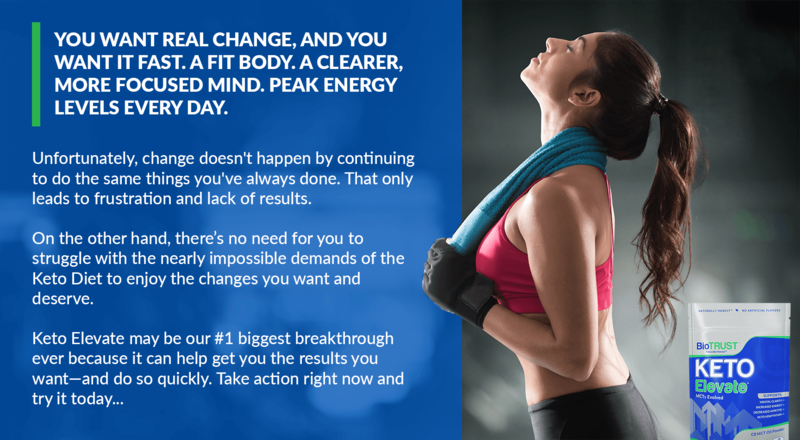 Maximize your results with the first and only 100% C8 MCT oil of its kind, specifically designed to help elevate ketone levels as fast as possible… even without the Keto Diet! Sources its ingredients from animal-friendly family farms that support cruelty-free, humane, and sustainable practices. Is one of the few companies in the industry to conduct university studies on top products. Is one of the few companies to have independent labs test products to ensure potency and purity. Ensures the quality of all products is verified by a certificate of analysis. 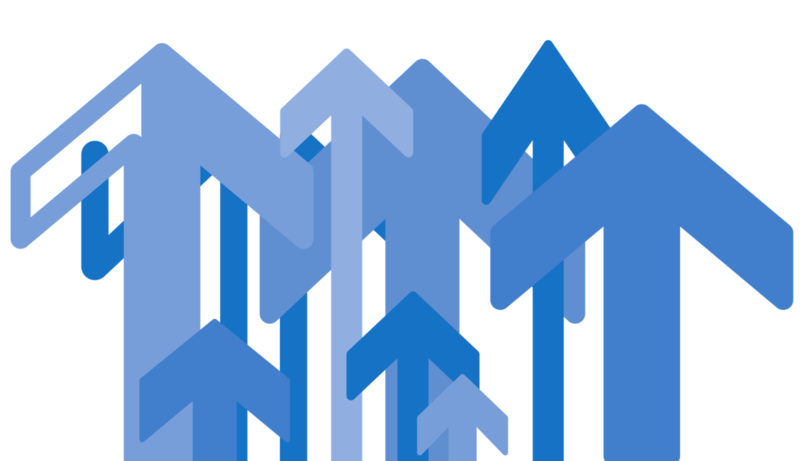 Works only with top-tier manufacturers that strictly follow Good Manufacturing Processes (GMP). Takes enormous pride in providing customers with world-class customer service and a 5-star customer experience. Cares about community, too. To date, we have donated 2.9 million meals to hungry kids through our partnership with the nonprofit NoKidHungry.org® and granted over 190 Wishes through The Make-A-Wish Foundation®. Very Special Introductory Offer Today - Up to 31% OFF! 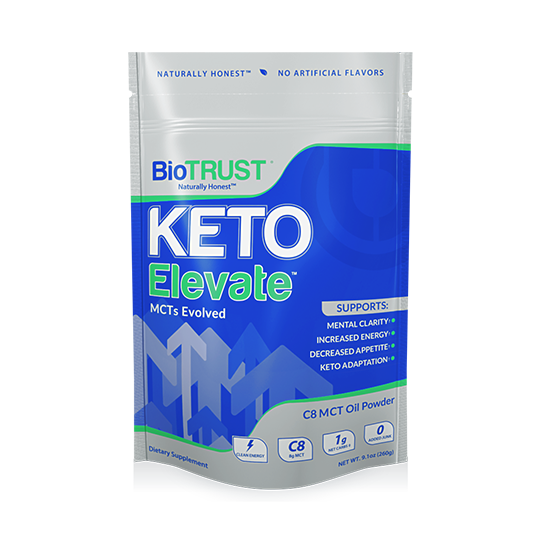 BioTrust's brand new Keto Elevate is one of the world's most expensive, highest-quality MCT supplements because, as you've seen, it's unlike any other MCT product in the world in terms of its versatility and quality, which will definitely impact its benefit to you! Keto Elevate provides you 100% C8, with ZERO added junk, and that really does mean rapid Keto-elevated results without the pain and frustration of following all the strict, complicated Keto Diet rules. With this in mind, one would expect to pay much more for Keto Elevate compared to other inferior Keto products. However, today you're getting Keto Elevate here for as low as $34 per bag with our best money-saving package. That's an amazing savings of 31% OFF, and we guarantee it's the lowest price anywhere online and Keto Elevate isn’t available in stores. That price is lower than many competing products which aren’t nearly as effective. However, we can't guarantee this special offer will be available after today. So, if you’re interested, please order yours now. Enjoy free ground shipping straight to your door (United States only.) You can track that status of your order anytime (you will receive tracking information once your order ships). 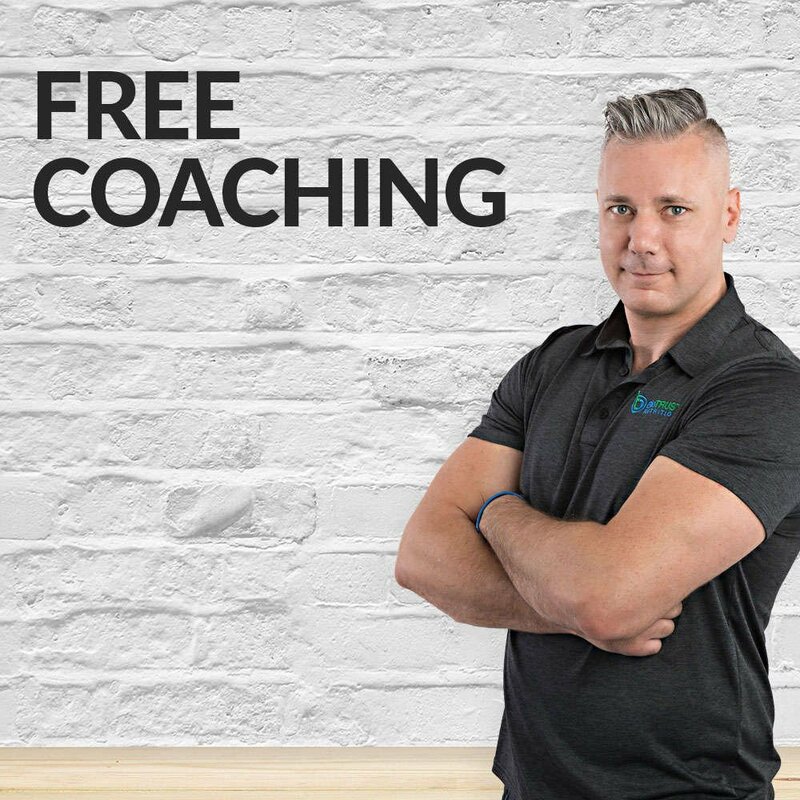 You'll get live, personalized coaching from BioTrust's team of expert nutrition and health coaches, as well as instant access to our inspiring, supportive community of people with goals like yours - free for life! When you order today, you'll get free instant access to this important report. 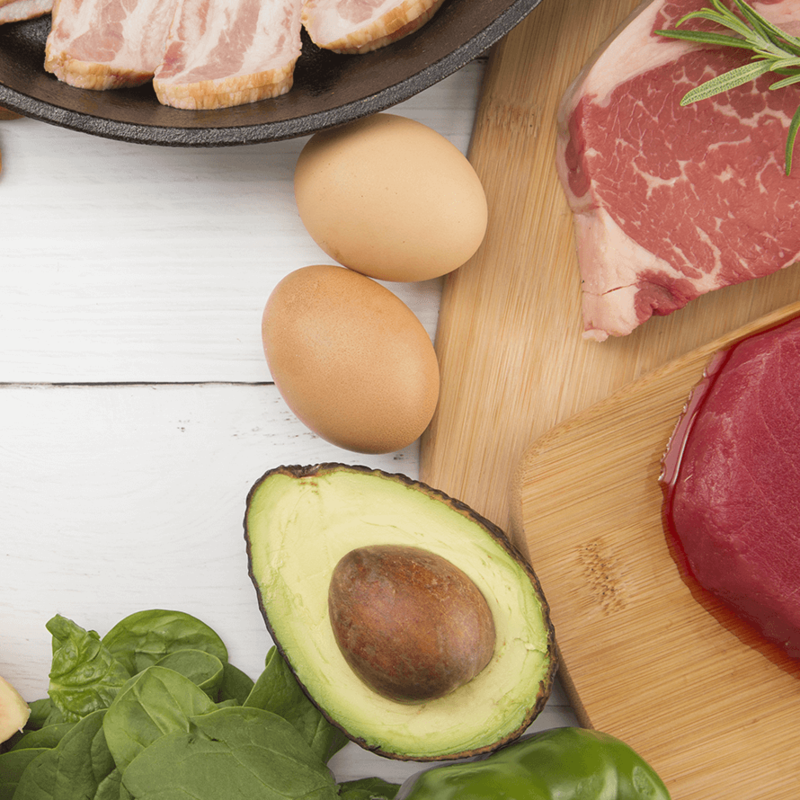 Adding these 14 foods to your diet in conjunction with KETO ELEVATE is a powerful one-two punch that can accelerate your results even further, so you definitely don’t want to miss this. For a limited time, you can try Keto Elevate for up to 31% off. Plus, if you act today, you'll also receive the 3 Free Bonus Gifts listed above. That's over $50 worth of free bonuses in addition to today's money-saving promotion. Results guaranteed so you have nothing to lose. With BioTrust, you’re always protected by the 60-Day Total Satisfaction Guarantee. If for any reason at all you are unsatisfied with your purchase, you can get a fast and friendly refund even on empty bags up to 60 days after securing your order today. 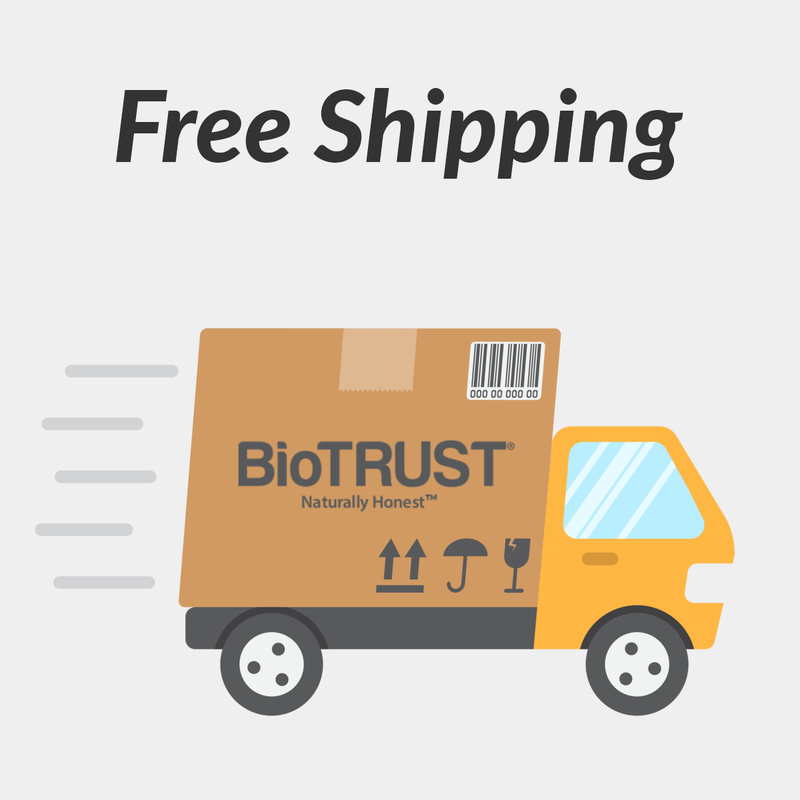 BioTrust cares about our customers and community. For every Keto Elevate order today, we donate a nutritious meal to a hungry child in your honor through our partnership with NoKidHungry.org®. 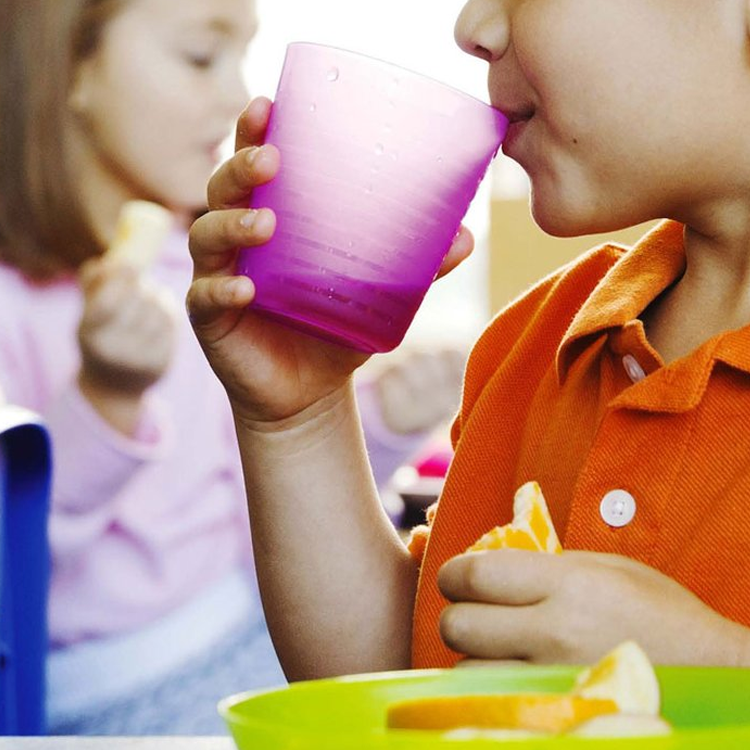 To date, BioTrust has provided over 2.9 million meals to hungry kids. Please help us hit our goal of 3 million meals this year. What's more, with the support of our customers, we've funded over 190 wishes for kids with life-threatening medical conditions through our partnership with Make-A-Wish®. We grant a wish a week! Through our partnership with Pencils of Promise®, BioTrust has built three schools for underprivileged children, and along with Water.org, we've provided clean drinking water for hundreds of families in third-world countries. It's support from customers like you that allows us to give back. Thank you! And unlike other MCTs, the C8 MCT in Keto Elevate is also very gentle on your stomach. 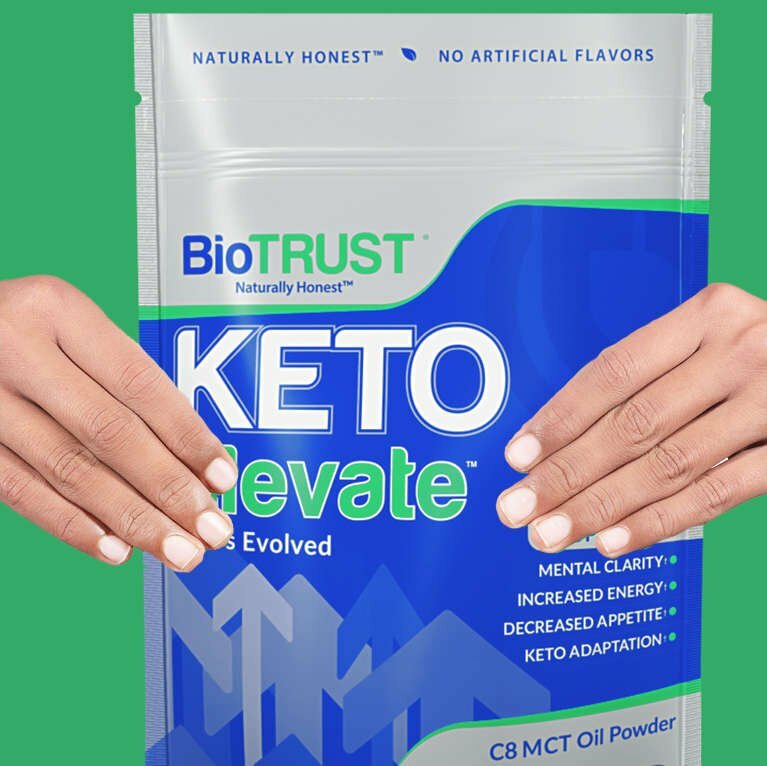 Furthermore, staying true to BioTrust’s impeccable reputation for quality, Keto Elevate is free of hormones, soy, gluten, lactose, GMOs, sugar, and maltodextrin. It is also free of artificial colors, flavors, and sweeteners, unlike other MCT products on the market. 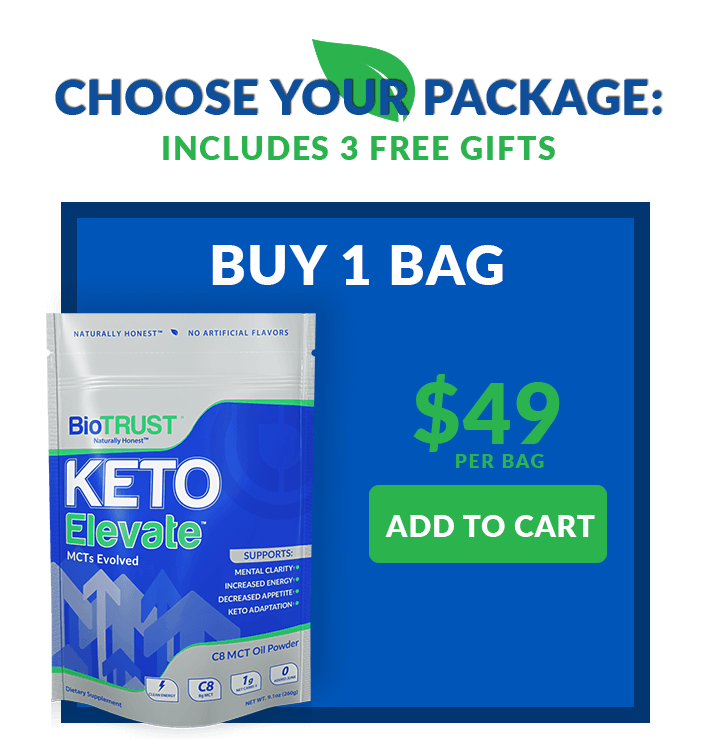 Click the link below to see today's money-saving offer to try Keto Elevate for yourself at up to 31% off plus your 3 free bonus gifts. Results guaranteed so you have nothing to lose. 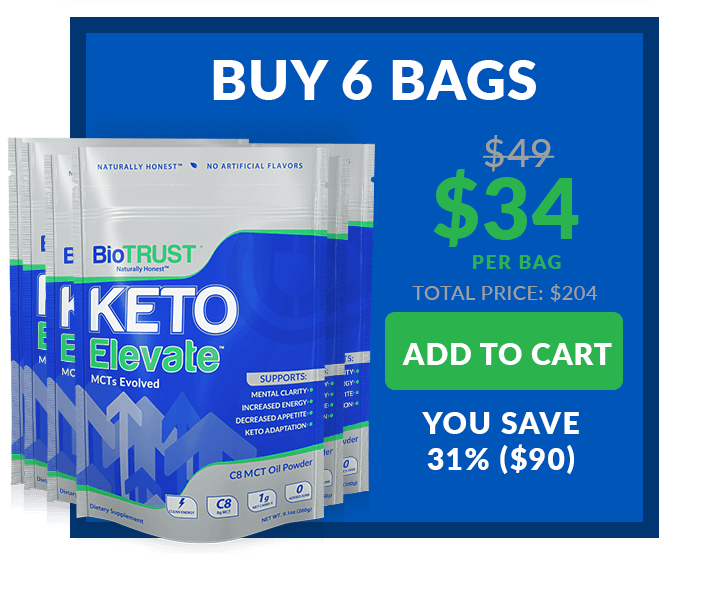 Each bag of 100% C8 MCT Keto Elevate provides you 20 servings. Most customers choose to stock up and save by ordering 3 or 6 bags. Half of all customers also order an extra container or two for their family, friends, or significant other—another reason to consider multiple bags. These sale prices are only guaranteed for today, so it makes sense to stock up now as sale prices won't last. These are the guaranteed lowest prices you'll find anywhere on Keto Elevate. 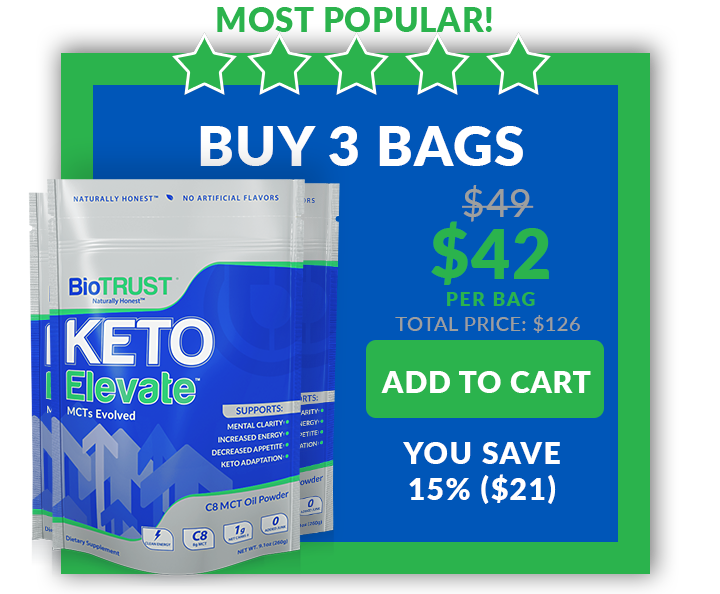 This special sale is only available for a limited time, so it makes sense to stock up now, especially considering this is the lowest price on Keto Elevate you’ll find anywhere - lower than Amazon and our own website. With all that in mind, we highly recommend stocking up and saving more today with our 3- or 6-bag options. 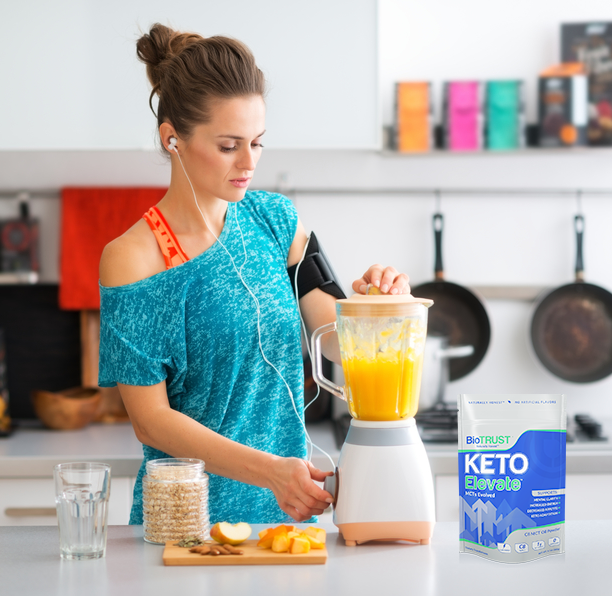 Unlike MCT oils - which contain a much lower concentration of C8, can be difficult to digest, and are inconvenient, messy, and require a blender to mix properly - Keto Elevate comes in a convenient, easy-to-mix, no-clean-up-required, easy-digesting, portable powder. And don’t expect to get the same benefits from coconut oil, which is not synonymous with MCTs; after all, it’s predominantly C12 (many don’t even consider it an MCT) and contains a very low percentage of C8 (less than 10%). 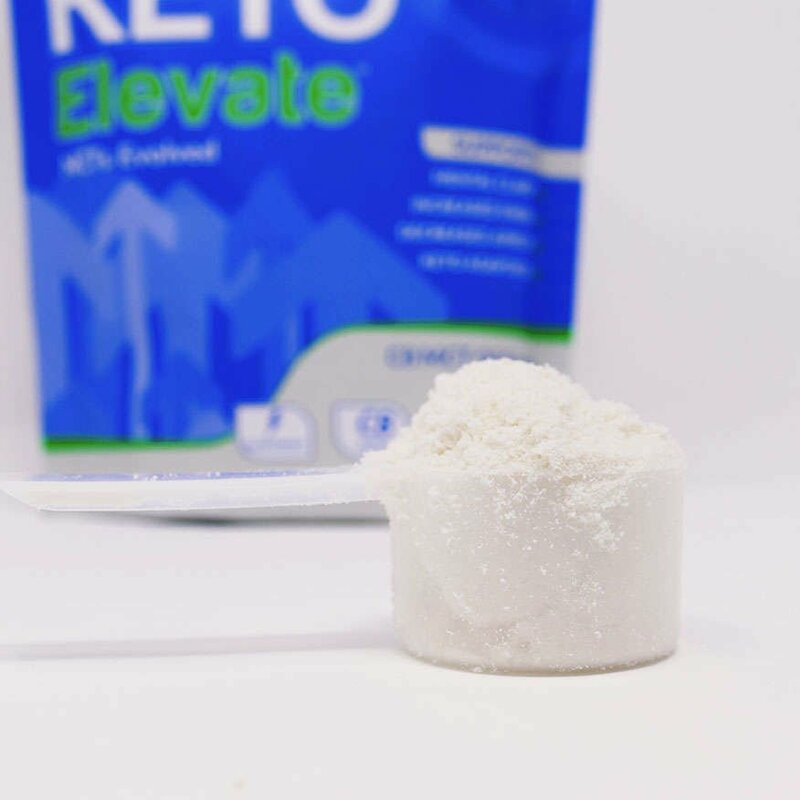 Each serving of Keto Elevate provides 8g of Caprylic Acid, which is technically classified as a healthy saturated fat because of its chemical structure. 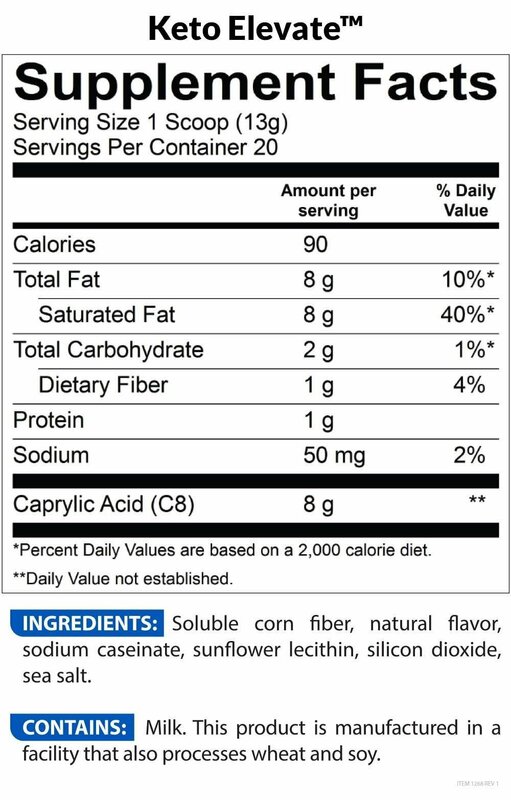 That’s why you’ll see 8g of saturated fat listed on the label. But don’t worry, Caprylic Acid is a “functional fat” that offers a wide array of potential health benefits which allows it to be quickly and easily metabolized into energy, less likely to be stored as fat, while increasing calorie burn via thermogenesis. Q: What if this product doesn’t work for me? While Keto Elevate was created to work, if for any reason at all you are unsatisfied with your purchase, just let us know, and we will issue a prompt and courteous refund even on empty bags. 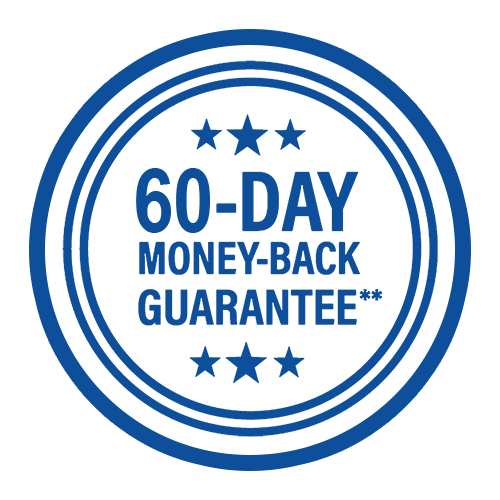 You’re always protected by our industry best 60-Day Money Back Guarantee.